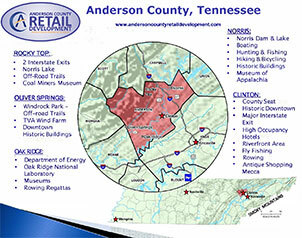 Clinton’s Exit 122 at Interstate 75 is a growing commercial area for Anderson County. Several manufacturers are within minutes in addition which contribute to a high daytime population along with various other current retail including Walmart, Shoney’s, Zaxby’s and others. In addition, this exit marks the halfway point for travelers from the northern states on their way to Florida and other points south. Exit 122 has several hotels, all with occupancy rates in the 70% range. 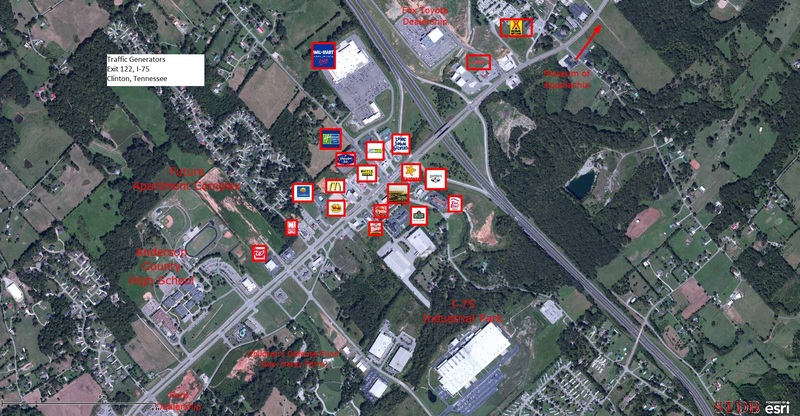 With various commercial land and properties available, this is a prime area for your next commercial development! Let us show you what “Business Friendly” can mean for you and your business!